Assuring years of maintenance free performance, the Coleman 150 Watt Crystalline Solar Panel features high efficiency crystalline solar cells to provide greater power output. Ideal for use with RVs, homes, cabins, remote and back-up power use, 12V battery charging and more, this solar panel is weatherproof and easy to install! 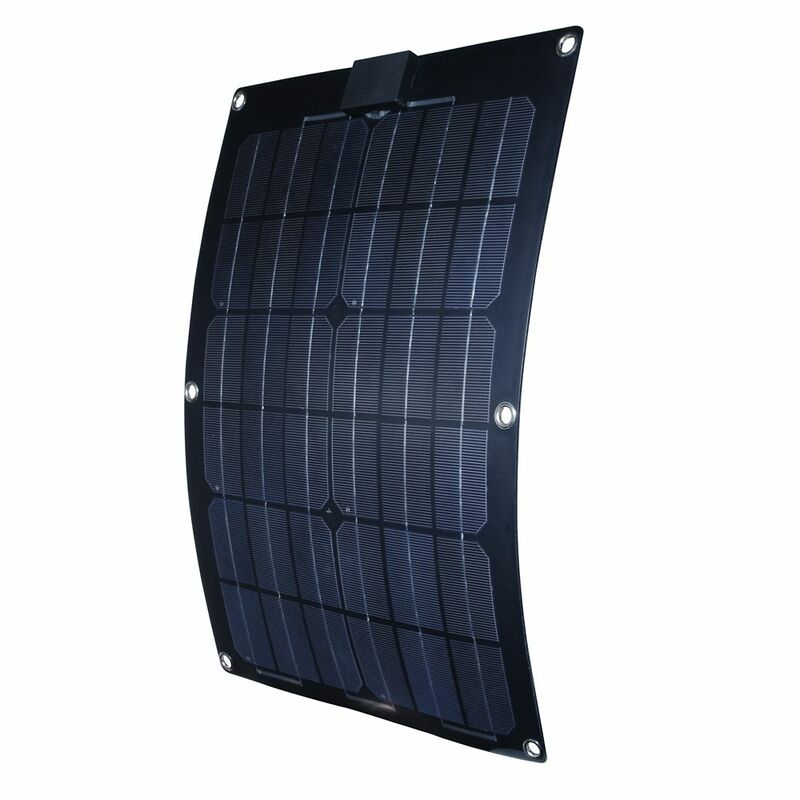 25-Watt Semi-Flex Monocrystalline Solar Panel for 12-Volt Charging Wafer thin, lightweight, and can mould to a curved surface. These Semi-Flexible Solar Panels are made of the high efficiency mono-crystalline solar cells and strong enough to be walked on. Semi-flexible panels are weather, water and corrosion resistant making them a perfect option for marine applications, RVs, camping and emergency back-up These panels can continuously recharge your 12-Volt batteries with the power of the sun. Light enough to mount on a window with suction cups, and durable enough to mount permanently outdoors on a range of vehicles.